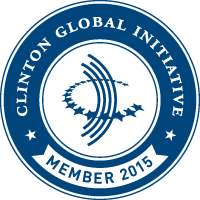 Build Change has been a proud member of the Clinton Global Initiative since 2010. In 2013, Build Change committed to working with 200 brickmakers in Sumatra, Indonesia, to improve brick quality, improve brickmakers’ business skills and livelihoods, and reduce environmental impacts. Scaling up a successful pilot project in Sumatra, over the next two years, Build Change will work with 200 brickmakers to standardize production standards and monitor and evaluate business performance as well as environmental impacts. Build Change will ensure that women have the same opportunities as men to participate in the training, seek out their involvement during discussions and trainings and mentor them as they work to improve brick-making methods, business and livelihoods. 3. Reduces environmental impacts by reducing timber consumption through the use of alternative fuels to fire bricks. In 2013, Build Change committed to develop the capacity of Colombia’s Servicio Nacional de Aprendizaje (SENA) and other Colombian organizations by providing Training-of-Trainers in retrofitting techniques. Build Change will design two targeted training-of-trainers courses for SENA, who will in turn train other implementing organizations in Colombia. The first course will teach Colombian engineers, architects and construction technicians to conduct seismic evaluations, produce retrofitting designs and provide supervision during retrofitting. The second course will train builders in retrofitting techniques. This one-year project will provide 74 people (partner organization staff, SENA trainees and families in retrofit houses) with the skills to prepare for, and cope with natural disasters. As Build Change’s first project in Colombia, the training will be rigorously monitored and evaluated using quantitative and qualitative techniques. The final assessment will be used to guide future plans for scaling the project within Columbia and throughout Latin America. In 2011, we committed to expand our earthquake-resistant design and construction (ERDC) training to technical high-school teachers in Indonesia. Build Change worked with teachers and educational institutions to ensure Build Change ERDC training courses were incorporated as a regular part of the school curriculum, including streamlining the course and providing reusable materials and models. During the year-long commitment, Build Change trained 1,554 students, 146 teachers and 89 education supervisors from 21 different schools in West Sumatra on key ERDC concepts and techniques. Students raised their overall understanding and test scores on ERDC by 28 percent based on pre- and post-tests. Build Change staff also mentored and monitored teachers as they took the ERDC training curriculum to their classrooms. In 2011, Build Change committed to provide technical assistance and training to owners and workers at block manufacturing facilities in Haiti, a critical component in the safe rebuilding process. In a pilot project with Save the Children, which was completed in August 2011, Build Change mentored nine Haitian small- and medium-sized enterprise producers of concrete blocks to increase the quality and profitability of production. Over the next two years, Build Change, Save the Children, and other partners expanded this successful pilot to continue to mentor these nine producers and reach at least 51 more block manufacturers with technical assistance, ultimately providing support to 60 manufacturers. During the commitment, we trained 63 block-making enterprises in metropolitan Port-au-Prince and Jacmel, and certified 49 of the block makers trained for their ability to produce high-quality concrete blocks that meet the minimum standards for safe construction. These block makers were then integrated into a network set up by Build Change, where they were promoted to potential buyers through direct marketing activities. We also integrated this network into existing technical assistance projects, whereby homeowners receiving technical assistance for reconstruction are encouraged to purchase their blocks from certified block makers. More than 22,000 blocks were purchased from certified block makers during this commitment, many of whom significantly increased their production and hired new staff to manage the increased demand – creating more than 30 and counting needed jobs in Haiti. In 2010, Build Change committed to provide construction training to Haitian builders, laborers, and site foremen, enabling these construction professionals to build back better buildings and earn higher wages. Build Change worked in partnership with Haitian training institutions to leave in place a clear, practical course curriculum for earthquake and hurricane-resistant design and construction so that the building culture will be permanently changed in Haiti. At the end of 2011, Build Change trained, in total, more than 4,300 individuals – 2,770 homeowners, 1,450 builders and 128 engineers – in the basics of earthquake-resistant design and construction (ERDC), significantly exceeding our original goal of 500 people who were directly affected and who benefited from skills-based professional training programs. In addition, we worked with 46 materials manufacturers to improve the quality of construction materials. 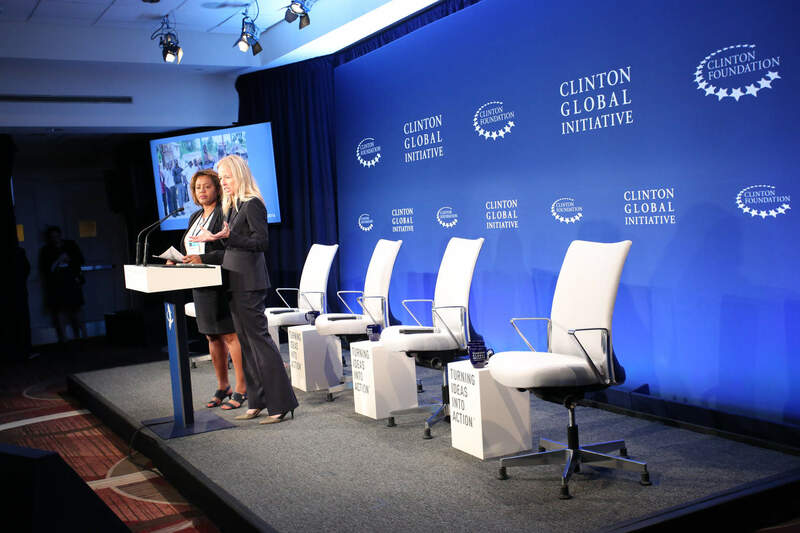 Founder and CEO Elizabeth Hausler participated in a panel discussion at the 2010 CGI Annual Meeting. Learn more about this commitment.